An invitation to think collectively about visual sovereignty/ies, colonialism and coloniality. form of colonialism initiated in 1492 and present-day coloniality are not only sustained through foundations of political interventionism or economic exploitation, but also construct a hierarchy of thinking; an epistemological hegemony that justifies the order built around their dominance while sclerotizing the possibility of subverting the “other”, that which is “outside of euro-centric civilization”, naturalizing the inferiority of its knowledge and representations. My current work is positioned in this field and is closely related to the call to think of colonialism (and modern coloniality) as a fundamental part of the origins of capitalism and Western modernity. 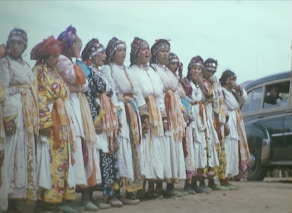 The aim is to think about ways to recover, establish or develop other visual genealogies that make it possible to conceive of visual sovereignty in pluralistic terms. 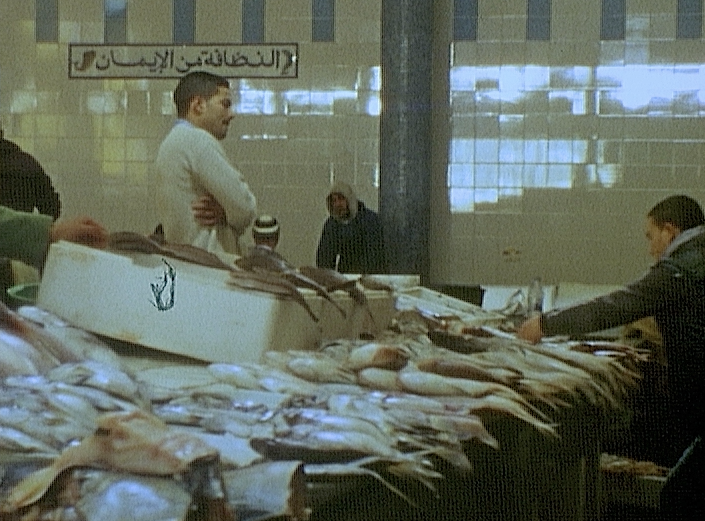 The visual essay presented here, L’oeil impératif, which has been produced in Morocco since June 2014 specifically for the Santa Mònica Arts Centre, offer a interdisciplinary reflection on the role that the system of visuality acquires within colonial and neo-colonial processes, which are understood to mean not only forms of political and economic exploitation but also a ceaseless abyssal thinking (in the words of Boaventura de Sousa) that dominates the global system. 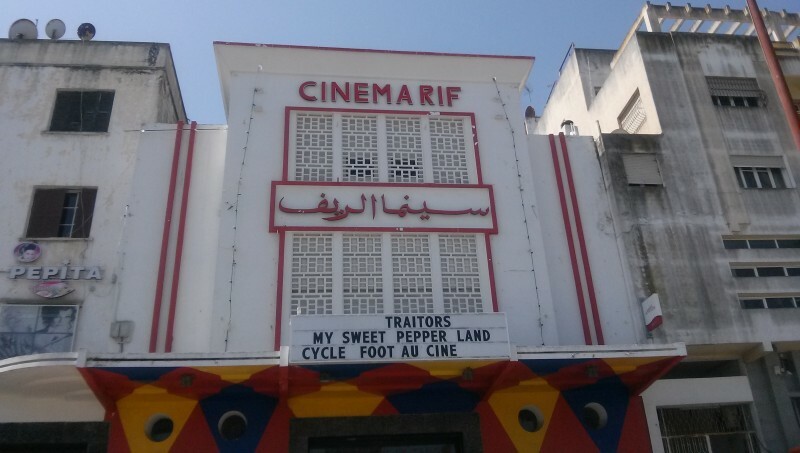 This film, constructed using rewritten texts by Frantz Fanon and Aimé Césaire, presents Morocco as a case study. It also offers a reflection on the possibility of constructing a form of cognitive justice outside the hegemonic system of knowledge and representation (in all the senses of the system of representation), and in doing so it asks us to what extent true visual sovereignty/ies is/are possible and what political potentialities it/they might have. 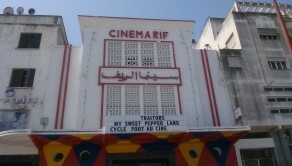 The fantasism of racialization, exoticism and the fear of otherness, the stereotypes of orientalism, and also the practice of convincing local elites to adopt the colonist’s point of view (in order to enable the continuity of the colony after independence, as explained by Fanon) form the substratum of the film. By extension, it also questions our role as colonizers and asks to what extent a true sovereignty or a real emancipation is possible, following the cycle of African independence between the 1950s and 1970s and within the modern framework of globalization, a time in which the concepts of traditional sovereignty and the nation-state (the pillars of the hegemonic euro-centric political order) are undergoing a mutation; a mutation that is also related to the enormous influence acquired by supra-national institutions such as NATO, the EU and the IMF, which are undermining (if not entirely dismantling) our traditional political foundations. -Cine por venir "Diálogos intempestivos de cine político: Colonialidad, trabajo y género". IVAM, Valencia, 13 febrero 2016. -6º MUESTRA DE CINEMIGRANTE-BOGOTÁ. Bogotá, 26 abril- 4 mayo 2016. -48 ALCANCES-Festival de Cine Documental de Cádiz. Cádiz, 10-17 septiembre 2016. -3º BIENAL DE IMAGEN EN MOVIMIENTO (BIM): Buenos Aires, 3-13 noviembre 2016. -A REVOLUTIONARY LOVE/ UN AMOR REVOLUCIONARIO. Octubre- diciembre 2017. UMH, Alicante. - IX Mostra Internacional de Cinema Periférico (S8). Coruña, 25 mayo-3 junio 2018.